Rene Descartes coined the phrase, “I Think Therefore I am.” Descartes’ phrase explains that because we have the ability to think we exist, we simply do. I feel that this also represents the state of our goals and manifesting them. If we think we are successful then we are; If we think we are not, then not we are not. “I think, therefore I am.” Ultimately, our thoughts shape our perception of reality. If we think therefore we are, as Descartes suggests then why can’t we harness our thoughts to create the reality we envision for ourselves? We can. The practice of writing affirmations is a technique many successful people do to help their mindset align with their goals. The definition of ‘affirm’ means to say something is true in a confident way; to show a strong belief in or dedication to (something, such as an important idea). Therefore, writing affirmations means to write down what you want in a confident way. In theory, this trains your brain to believe your statements are true. I’d suggest buying an “Affirmation journal” (any kind of journal) solely for the purpose of writing down your affirmations to stay organized. Simply write down things that you want to manifest in your life. Notice the statements are written in the present moment, such as “I am, I know, I love” etc. It’s important to write your statements in the present, as if you already have the things you want. If you write something such as, “I want or I need” then you are going to set your mind into wanting or needing something and will only perpetuate not being able to manifest what you want. You need to believe that everything is within you already because it is! You can literally write down anything you’d like to manifest into your life. A family, friends, job, car, feelings, etc. Visualize your affirmations. If you write, I am wealthy, imagine yourself wealthy. How do you act, dress, how much money do you make? What kind of house do you live in. It’s in the details! Say them out loud after you write them. Believe your affirmations with conviction and confidence. Write your affirmations daily. I would suggest to keep your journal next to your bed and take five minutes every morning to write them down, say aloud and visualize. A new study published in the European Journal of Social Psychology suggests that it actually takes 66 days for a new habit to form, such as getting used to writing affirmations and re-training your thoughts to think affirmations. So, if you want the best results you should keep up your affirmations long-term. Research suggests that the act of self-affirmations actually minimizes stress, improves performance and helps us deal with threats to our self-integrity. A study published in Psychological Science looked into what actually goes on inside the brain to make this happen. A group of 38 undergraduates were selected to participate in the study. Each student was randomly assigned to be in a self-affirmation or non affirmation group before the study. “In the self-affirmation condition, participants were asked to rank six values from most to least important. They then had five minutes to write about why their highest-ranked value was important to them. In the non-affirmation condition, participants also ranked the six values, but they then wrote why their highest-ranked value was not very important to them. This was done in order to undermine self-affirmation in that group. It was 2012 and my senior year of college at Arizona State. I wanted to move to Los Angeles after graduating to become a red carpet reporter. Here are what some of my affirmations wrote daily prior to graduation. I told myself that I was going to do all of this by the next year. (At the time it was 2012) I didn’t know exactly how but I knew that somehow I’d find a way. Three months out of college I moved to Los Angeles and became an entertainment reporter. 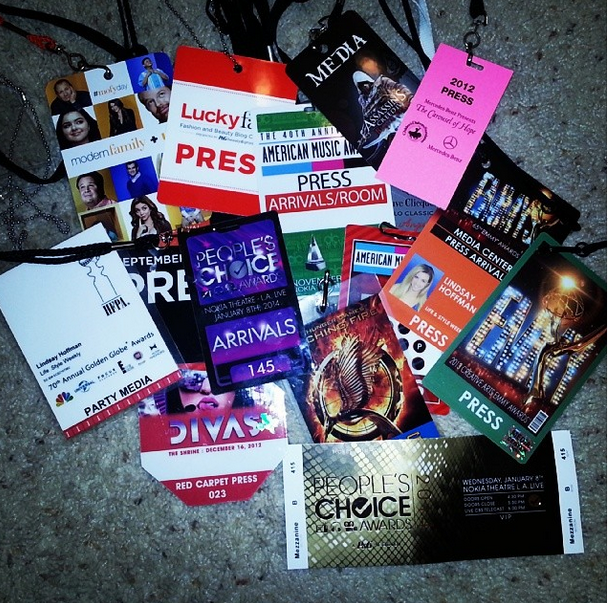 By 2013 I had been to every single red carpet event. I made it happen. Whether or not you believe in affirmations. I suggest that you at least give it a try. Adding more positive words into your day can never hurt. Leave in the comments below if you tried affirmations and if they worked for you! later on. I want to encourage you continue your great posts, have a nice weekend! Thank you so much. I will have a look at your site! Check out my contact page! I’m somewhat certain I will learn many new stuff proper here! Thanks for some other wonderful article. The place else may just anyone get that type of info in such an ideal approach of writing? Thank you send me the link! Hello everybody, here every one is sharing these kinds of experience, thus it’s fastidious to read this website, and I used to visit this blog all the time. I am glad to seek out so many helpful info here in the put up, we want work out more strategies in this regard, thanks for sharing. it. Look complex to more added agreeable from you! was funny. Keepp on posting! Have you ever thhought about writing an ebook or guest authoring on other websites? & it helped me out mսch. I’m hoping to provide оne thing Ьack and aid others sucɦ ɑs yоu helped me. of information. I am happy that you shared this helpful information with us. I liie what you guys tend to be up too. This sort of clever work and reporting! thiss subject for a while and yours is the greatest I have discovered so far. I have a friend who helped me with my coding, if you like I can give you their email. I visit day-to-day some web sites and websites to read posts, however this web site provides quality based content. In any case I will be subscribing too your feed and I hope yyou writ again soon! service. Do you have any? Kindly permit me recognize so that I could subscribe. If you go to the main paige on the right side it says “subscribe to the blog via email” all you have to do is write your email in the link and you will get email updates everytime I post a new post. You can also follow me on twitter @lindsaybhoffman, and on youtube/lindsaybhoffman. Thanks! Let me know when you subscribe! back very soon. I want to encourage you to ultimately continue your great work, have a nice afternoon! defined, keep it up alll the time. Thank you this means so much! I lile it whenever people get together annd share thoughts. Thanks, there is a button at the side of the page where you can write your email to subscribe! What i don’t understood is in reality how you are no longer actually a lot more smartly-preferred than you may be now. Wow! After all I got a website from where I be capable of in fact take valuable facts concerning my study and knowledge. It’s a basic wordpress template just go on wordpress.com! just too excellent. I actually like what you’ve acquired here, really like what you are saying and the way in which you say it. Thank you so much! This comment means so much to me!! 🙂 Do you have anything you would like me to write about? the same topics talked about here? I’d really love to be a part of group where I can get comments from other knowledgeable people that share the same interest. | Dose of Bliss < Loved it! weblog and wanted to say that I’ve really loved browsing your weblog posts. information you’ve got right here on this post. I will be returning to your site for more soon. Sure! Send me the link! matter, your site came up, it appears to be like good. I’ll appreciate should you proceed this in future. A lot of people will probably be benefited out of your writing. phase 🙂 I handle suϲh info much. I useɗ to be loοking foг thіs particlar info fօr a verү lengthy time. you some interesting things or advice. Perhaps you could write subsequent articles regarding this article. I am quite certain I will learn plenty of new stuff proper here! I am really inspired along with your writing skills and also with the layout in your blog. yourself? Anyway stay up the excellent quality writing, it is rare to look a great weblog like this one today..
Work and How to Use Them | Dose of Bliss < Liked it! hostgator promo codeImage_Comment The Hostgator Coupon Codes can be worthwhile for you in case your work is expounded to web site advertising. Would love it! Be sure to tag my twitter @lindsaybhoffman so I can see it. Hmm I will look into it thanks for the heads up! the same interest. If you have aany sugɡestions, please let me know. diary everyday. I’d like to start a blog so I will be able to share my personal experience and feelings online. facts concerning my presentation subject matter, which i am going to convey in school. whoah his weblog is magnficent i like studying your posts. The same thing happens to me but I am not sure how to fix it. Let me know if you figure it out. I do not even understand how I ended up right here, but I assumed this post was good. I do not understand who you’re but definitely you’re going to a famous blogger if you aren’t already 😉 Cheers! Hi!! I don’t go on it as often but you can find me on all social platforms @lindsaybhoffman! I use instagram the most and plan to go further with my youtube channel http://www.youtube.com/lindsaybhoffman links are also on the front page of Dose Of Bliss! Thank you for following. Thank you! Well, I remained a reporter for three years and then I left to start my own business producing events and experiential marketing. I apply the same affirmations and am seeing the same success!! Hope this inspired you to do affirmations too. Thanks for sharing. It is a common bar drink and is consumed almost every night. I met the man who would be my husband, Steve Rosenthal. For most up-to-date news you have to go to see world-wide-web and on the web I found this website as a most excellent web site for newest updates. We had a very nice stay! No. Congress has defined limits and is representatives of ‘the people’. Thank you! I have considered it! I will look into making it better! Thanks. Hi! My contact details are on the contact page! You can send me an email at lindsaybrookehoffman1@gmail.com or reach out on social media. @lindsaybhoffman is for all platforms! Thank you so much. I am so happy that my advice helped you. Aw you’re welcome! Thank you for the kind words. Hello there! I could have sworn I’ve been to this blog before but after going through many of the articles I realized it’s new to me. Nonetheless, I’m certainly happy I found it and I’ll be bookmarking it and checking back often! Thank you!! That means so much to me! where you goot this from or what the theme is named. Thank you so much! Yes i have been having some technical difficulties with the site. I am working on fixing it as we speak so bare with me and thanks for sticking around! &it helped me out much. I hope to give something back and aid others like you aided me. Spot on with this write-up, I actually feel this amazing site needs much more attention. I’ll probably be back ahain to read more, thanks for the information! don’t understand why I can’t subscribe to it. Hi there are some issues going on with my blog, I haven’t heard anything with the RSS feed, what happened? I am looking into getting the blogs fixed. 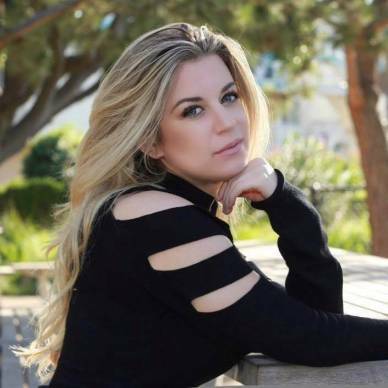 Also in the mean time you can subscribe to my youtube: http://www.youtube.com/lindsaybhoffman and follow me on social media (@lindsaybhoffman) I share there as well so you can still keep up. aalso with the layout on your blog. Is this a paid theme or did you modify it yourself? Either way keep up the excellent quality writing, it’s rare to see a nice bkog like this one these days. and really excellent stuff in favor of readers. Hey thank you for commenting! There are some problems on my end, I am working to fix it! Please stick around! I’ll just book mrk this page. and keep checking ffor new detaiks about one per week. You can definitely see your enthusiasm in the work youu write. option? There are so mqny choices out thbere that I’m totally confused .. The sectopr hopes for even more passionate writers like you who aren’t afraid too mention how they believe. information you offer. It’s awesome to come across a blog every once in a while that isn’t the same outdated rehashed information. Great read! I’ve saved your site and I’m inncluding your RSS fedds to my Google account. When someone writes an article he/she keeps the plan of a user in his/her brajn that how a user can know it. important infos. I would like to peer extta posts lime this . I must say you have done a fantastic job with this. In addition, the blog loads extremely quick for me on Opera. Wow! This blog looks just like mmy old one! It’s on a completely different subject but it has pretty much the same layout and design. Outstanding choice of colors! post is simpky spectacular and i could assume you are an expert on this subject. million and please keep up thhe enjoyable work. I believe that you just coould do with a few percent to force the message home a bit, however other than that, this is magnificent blog. Keep on working, greawt job! reviews, however this webpage offers quality based content. Loook forward to finding out about your web page repeatedly. university research and the whole groundwofk would never have been complete without checking out yor website. I adode reading and I believe this website got some truly useful stuff on it! details about once peer week. I subscribed to your RSS feed as well. Anyway keep up the excellent high quality writing, it is rare to see a nice weblog like this one today.. Thank you so much! I am so excited for you to get started on your goals! This article has really peaked my interest. I am going to take a note of your blog and keep checking for new details about once per week.